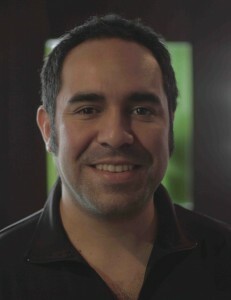 Born in 77 in Chile, LUIS CIFUENTES has created and directed during 10 years the ELCINEVINO project, a successful traveling cinema that, all along Chile, screened national features and animated creative workshops aimed to those who could not access theaters for social, economical or cultural reasons. More than 1.000 screenings were made and more than 100 short films were produced during those workshops. Since 2009, he is working on developing his own career as director and has written and directed various documentaries together with his first short fiction CITÉ (ALLEY) shot in 2010 and produced in Chile, that was selected in many festivals around the world and won the Jury award at Viña del Mar’s film festival. During his residency in France in 2011, he directed 3 short films and a video clip in France (THE SUITCASE) as well as one short film in Canada where he directed another short in 2012 (HOURS GET LOST IN VAIN). In 2013, in TAIPEI FACTORY‘s frame, he co-wrote and co-directed with Shen Ko-Shang (A NICE TRAVEL) a fiction short film, shot in Taiwan, and premiered in opening of the Director’s Fortnight at Cannes Film Festival in 2013. He is also directing a documentary about Hector Noguera’s life, about the actor and his relation to the theatre piece LA VIDA ES SUEÑO. He is currently developing his first feature QUIERO VIVIR SU VIDA that was selected in « La Fabrique des Cinemas du Monde » at Cannes Film Festival 2012 and won the Producers Network Award at Buenos Aires Lab at BAFICI 2012.